As we age, the natural volume of youthful skin begins to diminish, leaving wrinkles and folds. It's a natural process, but that doesn't mean you have to sit back and let it happen. 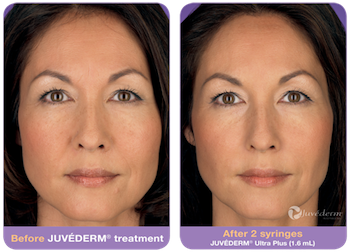 Juvéderm is made of hyaluronic acid, a naturally occurring substance in your skin that adds volume and hydration, keeping wrinkles at bay. It provides a smooth, natural look, so everyone will notice, but no one will know. 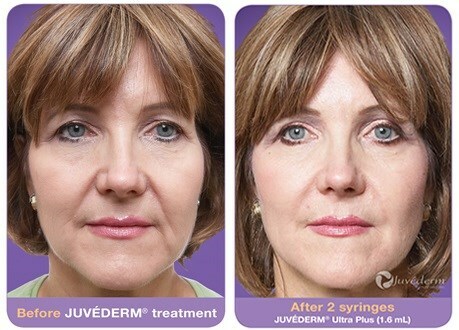 Juvéderm XC comes with Lidocaine, which further numbs the skin.  Depending on the treatment and degree of concentration, the injection process takes as little as 15 minutes and results are generally immediate. There is minimal recovery or downtime. Results generally last about one year.